Ultimate Tinting started life as Ruthin Car Sales in North Wales. After having worked in the car industry for 7 years, I decided to sell cars for myself and my garage went from strength to strength. In 1996 while waiting for a customer to arrive, flicking through the Auto Express I noticed an advert for a window film company looking for tinting installers. I called them up and enrolled on the course in Southampton. Once I had completed the course I started to tint my own and friends cars just to get some practice in. I then went to America for 3 weeks and on my return there was a list of people who wanted their cars, vans and trucks tinted. I had to do this in the evening and weekends as I couldn't tint and run the garage at the same time. I did try, but too many interruptions and the dust made a good tint installation impossible. Come August 2001 I couldn't cope and after much sole searching closed the garage and concentrated on tinting and car sales. In early 2005 I decided to set up Ultimate Tinting and since then have performed window tinting for several main dealers including Citroen, Hyundai, Subaru, Vauxhall, Peugeot, BMW, Mitsubishi, Nissan, and Ford to name but a few. I also did work for windscreen companies including A & C windscreens, RAC Auto windscreens and AA windscreens but the majority of my work was, and still is, for the general public from word of mouth - the best recommendation you can get. My wife and I then moved down to Reading with her work and I opened another successful Tint Shop there. This business has now passed onto another operator as early in 2008 we moved back to North Wales with my family to concentrate on growing the business. Now in 2012 I have successfully grown to create the largest tinting network in the UK. 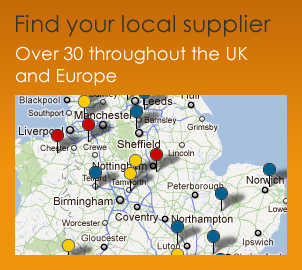 Now there are over 80 suppliers and partners throughout the UK and now also into mainland Europe - with more joining monthly. Our vision is to provide you with a professional, friendly service that you can rely on, simple really! If you are interested, want to know more and see yourself as part of our team don't hesitate to call me, Tim Haywood, for a chat or call in at any of our branches.